Last week, I spoke at the Summit for Change in Washington DC. This week, Off The Highway, will be dedicated to keynote speakers from that conference. 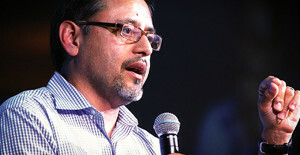 Today, Noel Castellanos, the CEO of Christian Community Development Association (CCDA.org), shares a message for the Christian church.